Avi Barak began playing piano at the early age of 6. His absolute pitch together with his love of musical instruments led him to France in 1979,where he studied piano tuning with a well-known artist tuner. On returning to Israel in 1981, he decided to make his studies his career. Within a short time Avi Barak became a leading name in the field.His knowledge, his professional and comprehensive piano services together with his uncompromising quality of tone have all made him a sought-after piano technician.In addition to private customers whose homes he visits in order to give back to their pianos their perfect pitch, Avi Barak also provides services to a long list of institutions, organizations and businesses. He is the professional tuner for the Habima National Theater, the Camera Theater and Kol Israel Radio. We have three branches, in the Misgav Regional Council near Rakefet in the north, in Tel Aviv and in Jerusalem. In addition, we provide door to door services from Jerusalem and vicinity up to the far north. 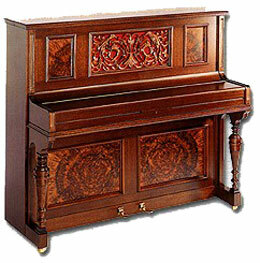 Tuning and tempering of all kinds and brands of pianos by an expert technician, door to door. 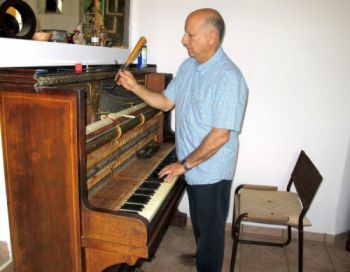 Avi Barak's reputation in the field has made him the choice of numerous customers, from private amateur musicians, to kibbutzim and educational and cultural institutions. Repair and restoration of old and antique pianos – from changing the leather pads to work on the piano mechanism, all done by a master. In addition, we restore antique furniture. Professional consultation –pre-purchase consultation, including examination of the instrument in question,as well as evaluation for any purpose. We will be happy to be of service at any time, to bring you to the piano's beautiful tones.